There was a time in the not-so-distant past when the meat and poultry industry defended its controversial practice of feeding antibiotics to livestock. “The use of antibiotics is one of many important tools in the treatment of human and animal disease,” wrote the National Chicken Council trade group in 2014. Efforts by lawmakers to stop or limit the use of antibiotics in meat production were fought by groups like the chicken council, the National Pork Producers Council and the U.S. Cattlemen’s Association, alongside the drug companies selling the antibiotics. But more and more food corporations are now singing a different tune. Tyson Foods, the largest chicken producer in the United States, on Tuesday announced that it would completely phase out the use of any antibiotics in its livestock by June. Most meat in the United States is still produced on factory farms, massive operations in which thousands of animals are raised in crowed industrial settings so that corporations can produce as much product as possible. Such conditions, animal advocates have warned, cause suffering and illness among animals, forcing meat producers to turn to antibiotics to keep its product healthy enough to feed to humans. Meat producers also discovered that including antibiotics in animal feed has the added bonus of making their livestock grow fatter. All of this has led to an astonishing trend. By 2010, research suggested that as much as 80 percent of antibiotics sold in the United States went straight to farm animals. This overuse of antibiotics, researchers warned, could have a devastating effect on human health by creating antibiotic-resistant bacteria. Already, government researchers have detected strains of bacteria resistant to antibiotics present in the meat on grocery store shelves. Responding to such concerns, Tyson back in 2007 began advertising that its chicken were "raised without antibiotics," but was forced to scrap that label by a federal judge because it was untrue. Years later, in 2015, Tyson announced that it would cut the use of antibiotics in its chicken feed. Without promising to eliminate the practice altogether, the corporation said it would stop giving its chickens the same antibiotics that humans use. But that supposed “balance” was not enough to quell concerns raised by the medical community, and in recent years corporations have begun making stronger promises to limit antibiotic use. Tyson, now being led by CEO Tom Hayes, announced on Tuesday that it will eliminate the use of all antibiotics in chicken production this year. The corporation framed their decision as one driven by market forces. "We think that we can be very competitive in that space in the next 12 months," Tyson COO Noel White reportedly said in a webcast. Tyson’s announcement follows one made by competitor Perdue in October that it would eliminate the routine use of antibiotics in chicken. Subway, which last year rolled out antibiotic-free chicken sandwiches for the first time, has promised to completely eliminate antibiotics in all of its meat in the coming years, while McDonald’s has also promised to stop sourcing meat that is fed antibiotics meant for humans. The decision of corporations to voluntarily phase out antibiotics in its products regularly draws cautious praise from consumer and food safety groups. 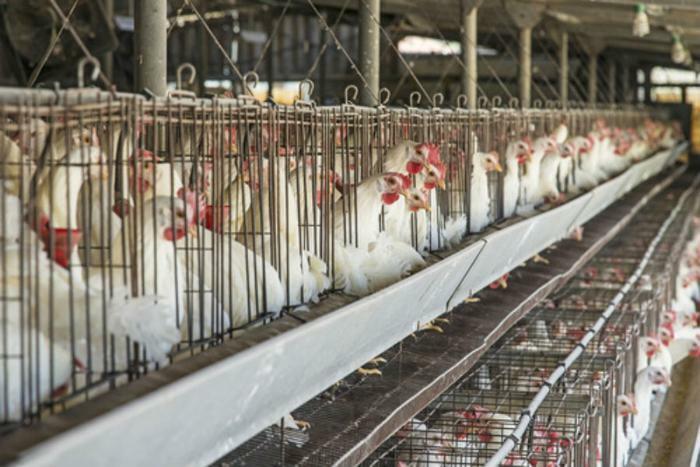 While organizations such as US PIRG welcomed Tyson’s decision and are now urging KFC to follow suit, food safety advocates say that antibiotics are just one aspect of the factory farm system that require an overhaul.